We are a progressive Toronto kickboxing school located in the Leaside area of Bayview-Eglinton; kickboxing lessons are held within the studios of Toronto Hapkido Academy. EVERY aspect of our school is carefully organized to efficiently do one thing and one thing really well - helping you maximize your workout experience with us in other to effectively achieve your fitness goals. Our core values represents what is truly important to us; they reflect our commitment of service to our members and community. We believe in creating an environment where people are inspired to better their lives, live healthier, and strive for success in their fitness goals. Each member is special to us, so we commit our team to treating everyone with all the understanding and patience they deserve; while providing a positive, safe, and challenging workout environment. We exist to deliver a great customer service. 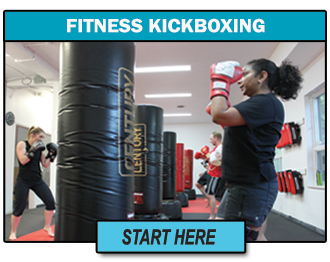 Our ability to provide an industry leading training environment, charismatic yet highly skilled professional staff, a well structured curriculum, and result-driven teaching methods is just one of the many things that set us apart from the average Toronto kickboxing classes. We are passionate about helping members achieve their goals - from our college students looking for a fast-paced workout, to the busy professional queezing in 2 workouts a week for some stress relief, or the mom looking to get rid of those last few pounds - we work to personalize everyone’s experience to make sure it is the best. 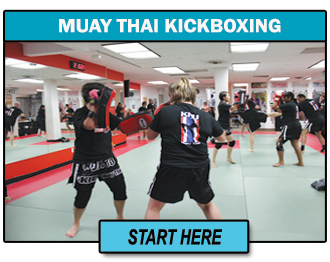 At Leaside kickboxing we hold ourselves to the highest standards of comprehensive marial arts instruction. 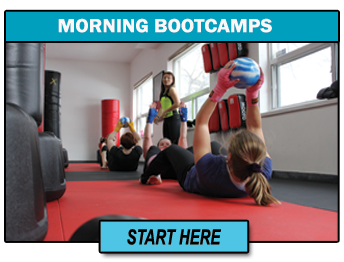 We want our members to workout comfortably, feel at ease in class, and to really obtain the most of the experience. Besides, who doesn't want to workout in bright, clean, safe and inviting environment? The days when quality instruction were only offered at dungeon dojos are over! You will enjoy the best workout experience in an optimum learning environment. Our well lit, state of the art facility houses two separately contained workout floors - you’ll never have to worry about distractions from other classes or programs - male and female change rooms with lockers, and a welcoming lounge area for waiting friends or family. Members often tell us, that the ambiance and our amazing team help distinguishes us. We also believe it takes the right people to make an amazing community. Our program attracts like-minded individuals who are really friendly, open-minded, caring, and supportive. It's like a family here, and we'd love for you to become a part of it. Call us today to schedule your first class... you'll love what we do! Considering taking one of our amazing fat-melting programs? Call us now (416-440-2828) to schedule a Drop-in class; or click on the image of the program above that you are interested in. You’ll be taken to a page you can learn more about the program, check out the available schedule, and also have the opportunity to enroll online for one of our awesome risk-free internet offers. If you have any other questions or concerns that are not covered under our site please don’t hesitate to give us a call . We look forward to hearing from you and having you join us at our martial arts academy here in Leaside Toronto.